Patrolman Abner Braun was shot and killed during a vehicle pursuit on the Bensalem Pike (modern day Route 1), near the aviation field in Bustleton, Pennsylvania. He was assigned to the Motorcycle Patrol Squad and had chased two men in a stolen car into Pennsylvania when he was shot and killed. 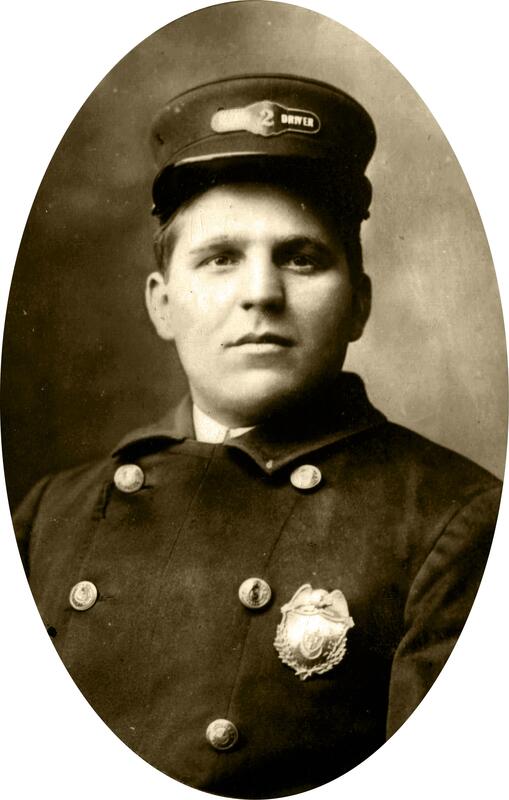 Because of the absence of radio communications, Patrolman Braun's death was not known for several hours. Both suspects were apprehended. One of the suspects admitted that he fired the shot that killed Patrolman Braun as he pursued them. That suspect, age 20, was convicted of first degree murder and sentenced to death on May 8thth, 1920, however, he died in prison on June 6, 1921 of natural causes. The other suspect was sentenced to 10-20 years in prison. Patrolman Braun had served with the Trenton Police Department for twelve years. He was survived by his wife and seven children and is buried in Riverview Cemetery, Trenton, New Jersey.